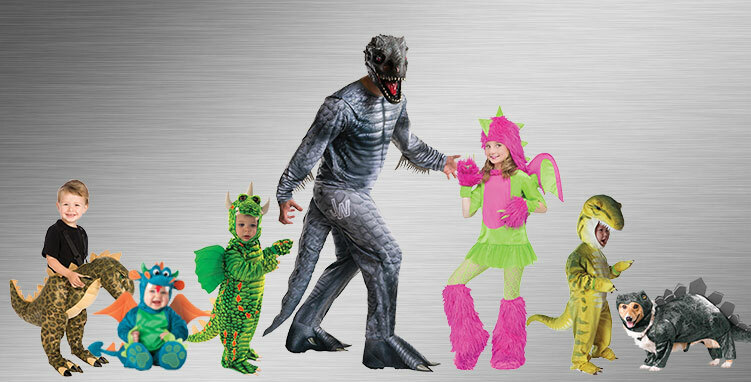 From classic inflatable tyrannosaurus rex costumes to new outfits from Jurassic World, there are tons of fun, exciting styles to browse when you shop for Dinosaurs Costumes! Going to a Halloween costume party will be more fun than ever with costumes for kids and adults, sure to make the other guests scream with delight! Dinosaurs roamed and ruled the earth millions of years ago, and now they’re back to reclaim their royal status. No one tells these giant creatures what to do. Create a dinosaur clan and dress all your friends and family up in their favorite breed. From tiny toddler to adult, everyone will enjoy tapping into the T-Rex side of their personality. What are you waiting for? 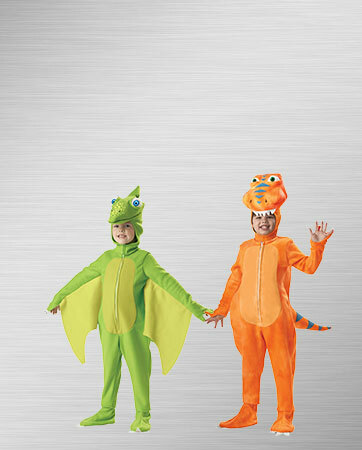 Let out those claws and fangs and plan your own dinosaur costume party! Have you ever wanted to ride a dinosaur? Now is your chance to make that dream come true. Channel your inner caveman or cavewoman as your dinosaur helps you get around town! Just be sure not to step on the little people down below. From sprawling jungles to the deepest swamps, your little one can have endless adventures as a Dinosaur Train Buddy. Whether it’s Halloween or any normal day, dressing up as a dinosaur is never a mistake. Get ready for magical adventures as soon as Buddy steps into the room. This baby dragon shows off some serious attitude. You’ll notice his ferocious spirit the moment you lay eyes on his scaly green ensemble. Dressing up has never been so fun, but watch out! There’s a dragon on the loose about town! He’s been seen ringing doorbells and asking for candy. Dragon Girls are tough, fire-breathing creatures, but that doesn’t mean they can’t look cute at the same time! Let her put on those dragon spikes and bring out her inner dragon diva in this adorable purple and pink dragon costume. You won’t even have to train her! This black beast isn’t your average fire-breathing dragon. She’s ready to roar in her scaly winged outfit. A bright spark at any costume event, this dragon will stand out the moment she walks in the room. Young reptiles love to have fun, so this dragon is always looking for a party! The Indominus Rex is the newest attraction at Jurassic World. She's a hybrid combining the genetic traits of many terrifying creatures like the T-Rex, Velociraptor and a special species of tree frog. If you see this dinosaur coming down the street, run! Dinosaurs may be gone for good, but luckily for us, plenty of fossils have been discovered to offer insight on these creatures. Ever wanted a pet stegosaurus but couldn't for obvious reasons? 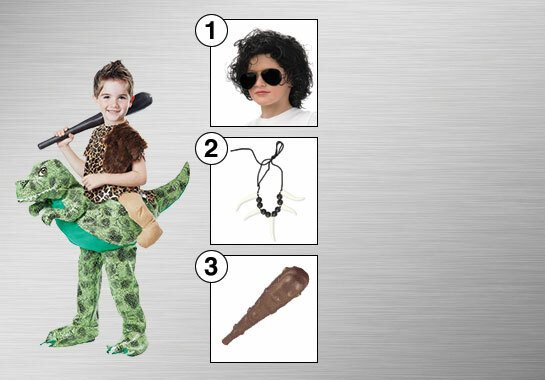 Well, why not turn the tables and upgrade the look with this stegosaurus-inspired costume? Stomp all you want and unleash your loudest roar as you become the king of the prehistoric world! The most famous of all dinosaur species, there’s no one who won’t recognize this beast strolling down the street. The largest of the Tyrannosaur family, this guy has teeth the size of a banana. You don’t want to get on this carnivore’s bad side. Are you looking to bring spine-tingling chills to everyone at the costume party? There’s no better way than to gather a group and dress up as a bunch of formerly extinct creatures. You have the option of munching on humans as a carnivore or plants as an herbivore, the choice is yours. From the Indominus to the Tyrannosaurs, all the Rexes are here and ready to party, hand out candy or roam the acres of Jurassic park. The Indominus Rex is on the loose and only the T-Rex can save the day! These two terrifying monsters go head-to-head and only one can win. Wear these to your next costume party and entertain your friends as you battle it out to see who the real ruler of Jurassic park is. Will the knight slay the three-headed dragon? Only time will tell. The knight will sally forth into the fray and battle the dragon to save the princess before returning to his kingdom. But don’t worry, the two eventually become friends and attend a Halloween party together. Buddy and Tiny the dinosaurs are the best of friends. 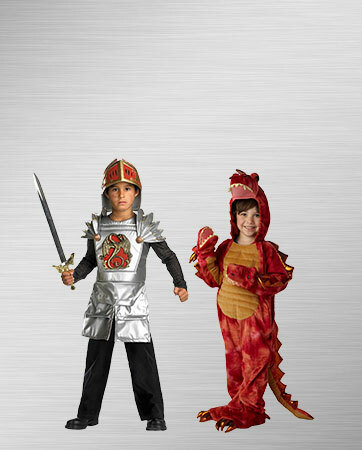 These sweet and lovable creatures are the perfect costumes for two tiny toddlers who share a love of reptiles! Your children will love dressing up in these cute outfits for any occasion. 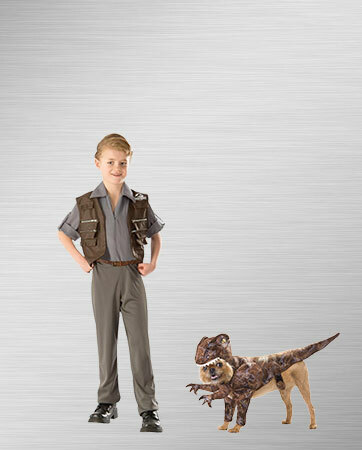 Owen and his pet raptor are a sight to be seen. Owen takes pride in training his raptors and is excited to take one out on the town for the night. Only Owen has the skills to deal with dinosaurs, so definitely don’t try this at home. It takes a trained professional to hang out with raptors all day. 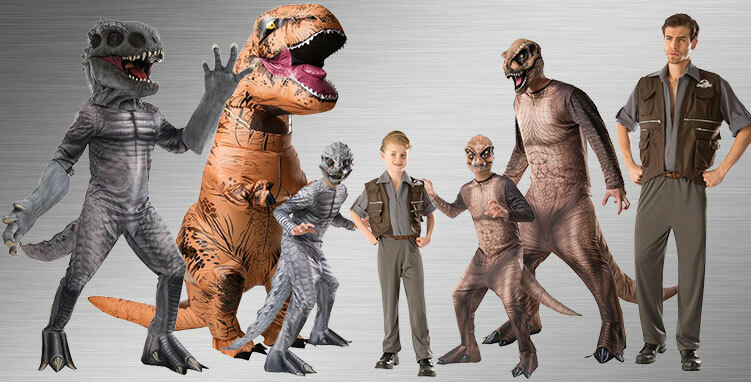 Turn into the biggest beast in all of Jurassic Park with the Ultimate Indominus Rex costume. 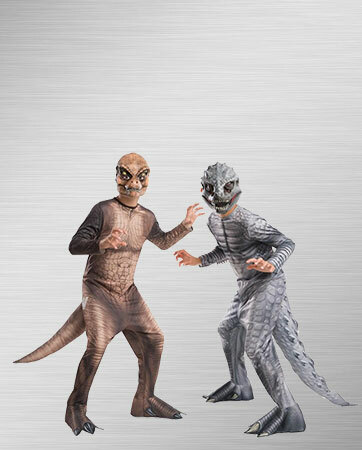 You’ll look and feel the part with a detailed molded headpiece and dinosaur skin gloves. Step into the gray jumpsuit with the signature scaly pattern, attach your tail, put on your matching shoe covers and you’re ready to go. 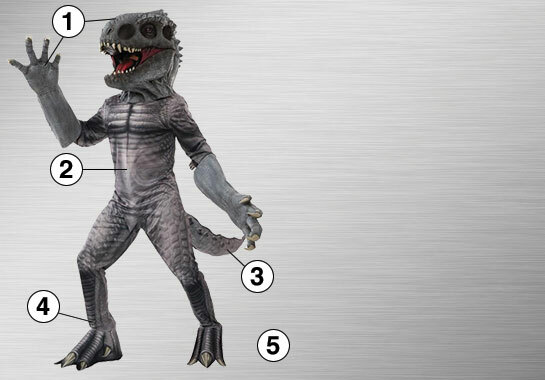 As an officially licensed Jurassic World product, this ultimate costume spares no detail. Kids' Curly Wig: Of course all dinosaur owners have messy, flyaway hair after chasing after their pet dinos all day. Get the look with this Kids’ Curly Wig. Necklace Sabre Tooth: Are they tiger teeth or dinosaur fangs? We may never know. Accessorize in true caveman style. Cave Club Jumbo: A dinosaur owner keeps his pet in line with a cave club. Dinosaurs can be dangerous, but with this cave club, anyone can be safe.